According to Statista the global market size of the heating and cooling industry was worth $178.34bn in 2018 and is expected to rise to $208.55bn by 2024. Furthermore, the Bureau of Labor Statistics estimates that in the United States alone, 48,800 HVAC jobs are going to be added to the economy from 2016 to 2026. To put it simply, the business outlook for HVAC small business owners and technicians is favorable in today's economy. If you're an HVAC small business owner reading this, you're seeing that there are opportunities for you to expand your business and capitalize on this industry growth spurt. While taking on new techs and expanding the vehicle fleet of your business might be a way to bring on more revenue, your margins aren't going to increase that much. You're going to need smarter ways of increasing your business so you can ultimately increase your profits. By using internet utilities and apps, you'll be able to employ free and low-cost tools that can help you scale your business, reach future customers, organize invoices and more. Here are the list of the best HVAC business apps you can download now. 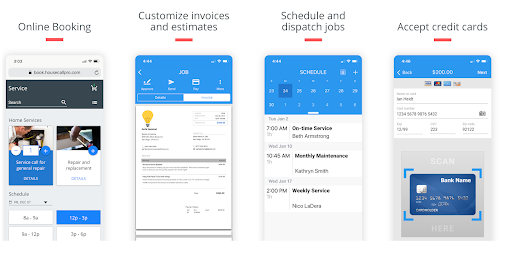 The Housecall Pro app is your comprehensive business aid. Serving as your centralized business hub, the app allows you to message clients when in route, dispatch team members to various jobs, allow customers to pay with their credit cards (and receive instant payments), and send automated email marketing content to past and future customers. The app has a user friendly dashboard that allows seamless navigation to and from different sections to help you carry out different HVAC tasks. "If there was only 6 stars! I’ve been using mobile electronic invoicing since 2010. For years I looked for that leader in that industry and now I found them. I can’t say enough great things about this app and program. If I was allowed to give it 6 stars I wouldn’t think twice. The HCP team is dedicated to making this program a revolutionary game changer for small business. It has features that could only been imagined just few years ago. The customer service, all I can say is wow. These guys are serious about not only making their business successful but the customers too. And the community they have created is amazing, a group of driven entrepreneurs pushing forward to change business as we know it. Great job HouseCall Pro, now together let’s go change the business world!!!" 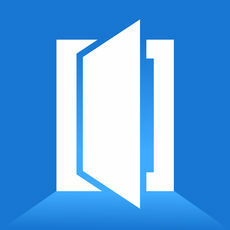 - The Shine Brite Co.
Primary use: Manage your expenses and cash flow, Create invoices, and view your profit and loss. 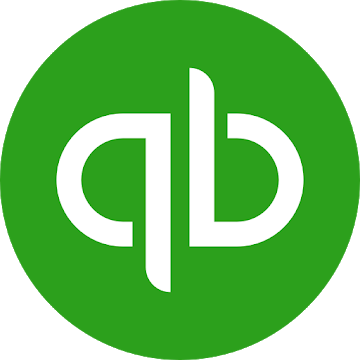 When you integrate Quickbooks Accounting into your business, you are streamlining and condensing all of your accounting into one place. 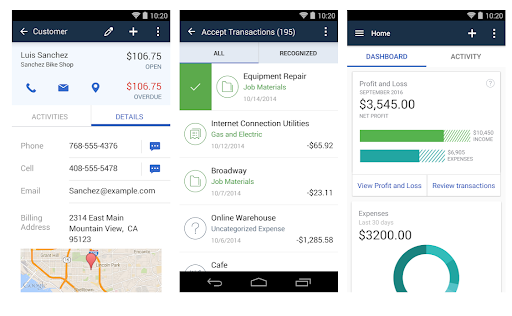 From the app be able to track all of your expenses and see where your cash flow is coming from. Dozens of financial reports that are generated within the app will let you know the financial health of your business. The app is easy to navigate through the various sections so you can track your various accounting tasks. 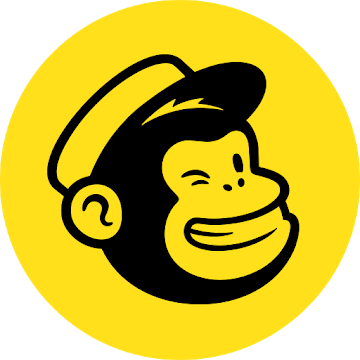 Mailchimp isn't just an email marketing utility; it's a second command center for your business. From campaign insights to integration with your social media accounts, get your content in front of the potential customers who are looking for it. 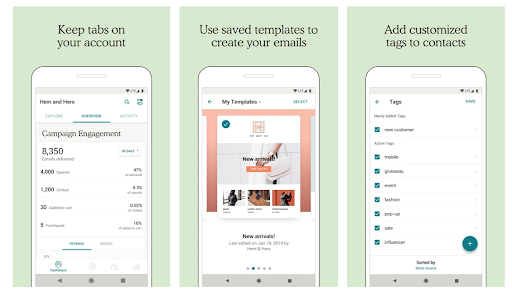 There are many actions you can take with the mobile app that will help you expand the reach of who is getting your promotional content and who is acting on it. The dashboard allows you to navigate to lists, campaigns, and reports to help send and manage your promotional content. 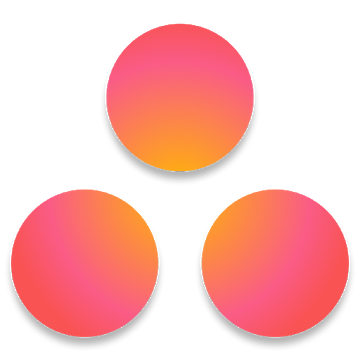 Primary use: Use Asana to quickly capture tasks, reminders, to-dos, and ideas. With Asana, you have the ability to organize everything that needs to be done with your growing HVAC business. 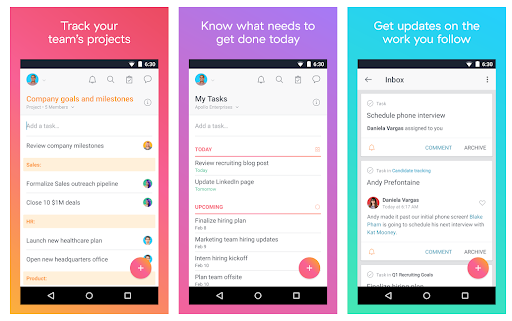 Manage your to-do list, organize and communicate with your team and keep ever tech on the same page with this app. Quickly update all of your work at a moment's notice. Sync Asana with your G Suite to get seamless integration with all of your tasks, calendar notifications, emails and projects. The opportunity is ripe for you to grow your HVAC business and lead your competition in your area. 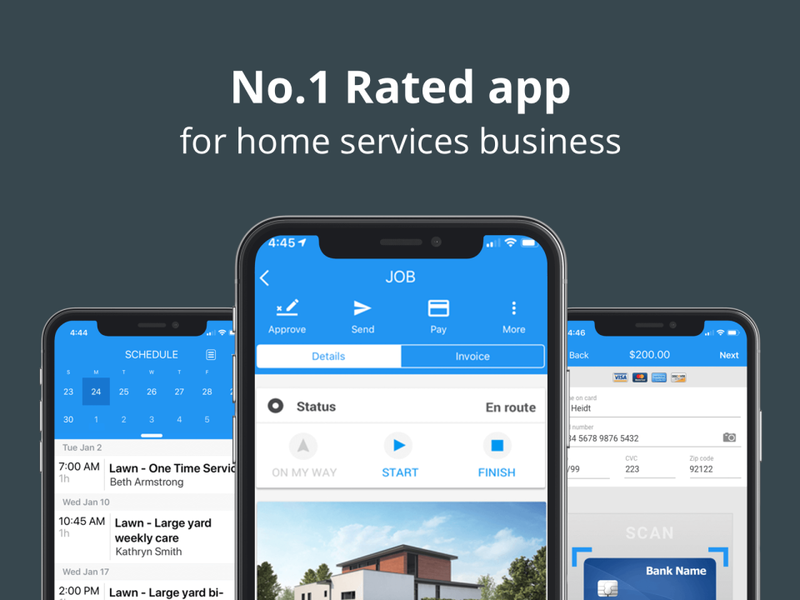 The economy is in dire need of your heating and cooling services and these apps will help you offer the same (if not better) quality you've been able to provide for years at little or no added cost to you. Of course this is only the start for there are hundreds of apps and tools that can help you so you can keep doing what you do best--helping your customers.